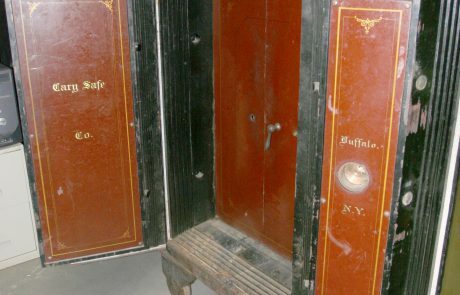 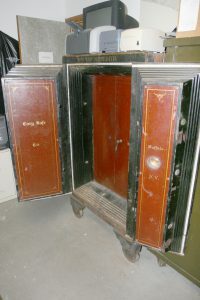 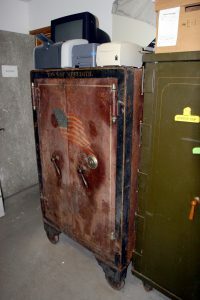 A large safe that was in Bisbee’s General Store from 1928 until 1976 when Ruez Bisbee was the town clerk was moved to the new town hall in 1976 before Bisbee’s store burned. 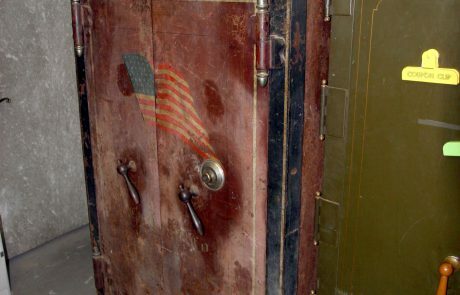 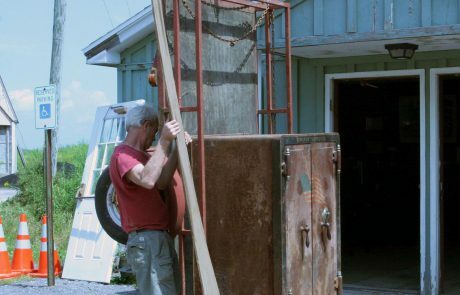 The safe reportedly weighs about 3,000 pounds and has “Town of Meredith” painted on it. 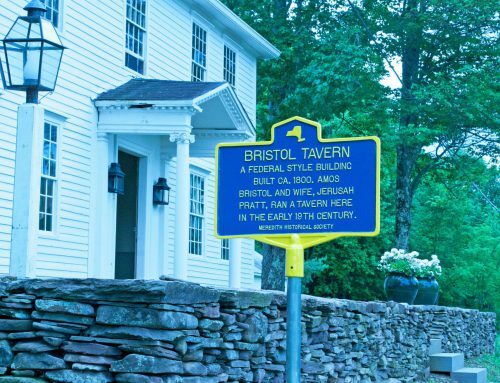 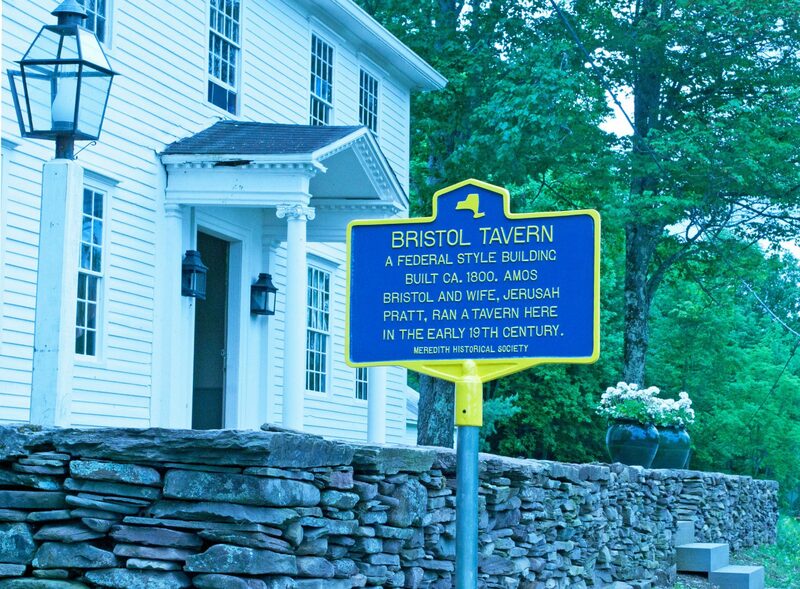 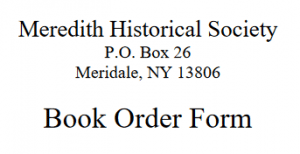 Now obsolete, the town donated it to Meredith Historical Society. 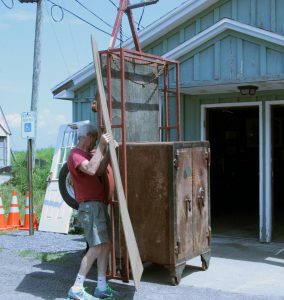 The move was made on August 4, 2017 by Abby Movers and it now resides in the basement of the former Charlotte Valley Presbyterian Church, which is not the home of Meredith Historical Society.